I’m the kind of person who relies on a map and still gets lost, 5o% of the time. Oftentimes, I would stop a minimum of 3 strangers just to ask for directions. I can get from point A to B with barely a recollection of how I did it. I am what they call, directionally challenged or to use my own term, a direction impaired. And this has made my travels abroad harder than it should be considering that majority of the countries I visited have non-English speakers. I knew that communication would be the least of my worries in Australia, but I discovered something that made getting around easier and it didn’t require approaching a soul. How? You’re in luck mes amis! 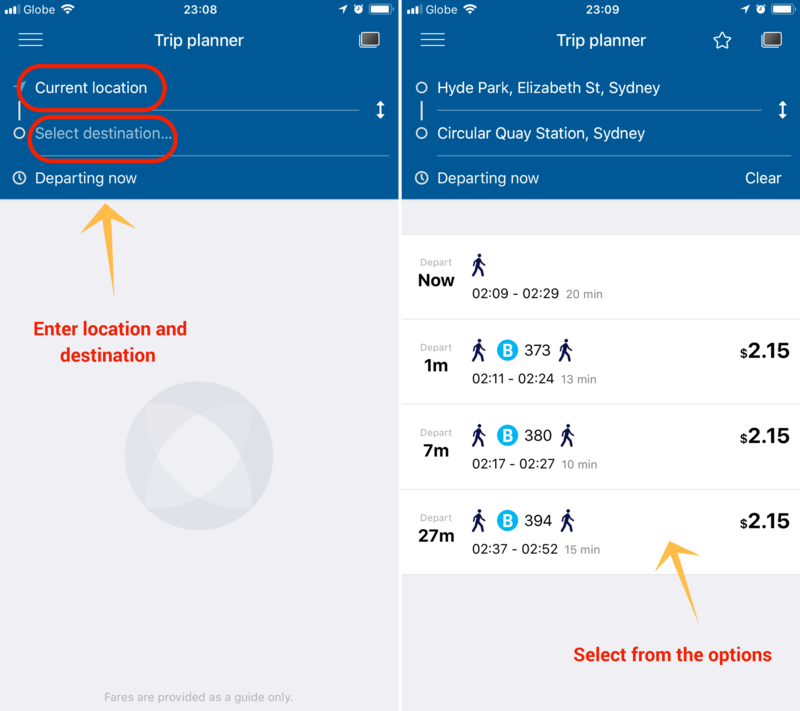 I will show you how to navigate Sydney by just using Opal card and its app. 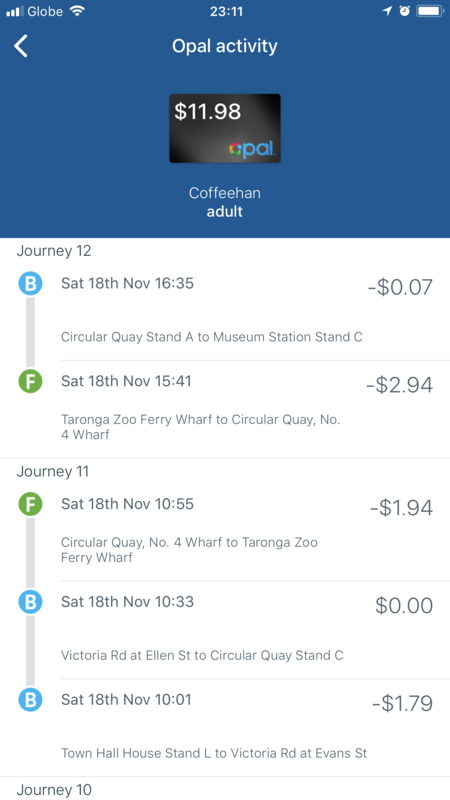 Opal is a reloadable card that you can use to pay for public transport, such as trains, buses, ferries, and light rails in Sydney, Central Coast, Blue Mountains, Southern Highlands, and Illawarra. There are over 2,100 Opal retailers in Australia and you can easily find a retailer within your area on this link. In my case, I purchased the Adult Opal card AUD 40 (₱1,633.33) in one of the convenience stores at the Sydney Airport. To help protect your card balance’s in case it got lost or stolen, register your card on this link. 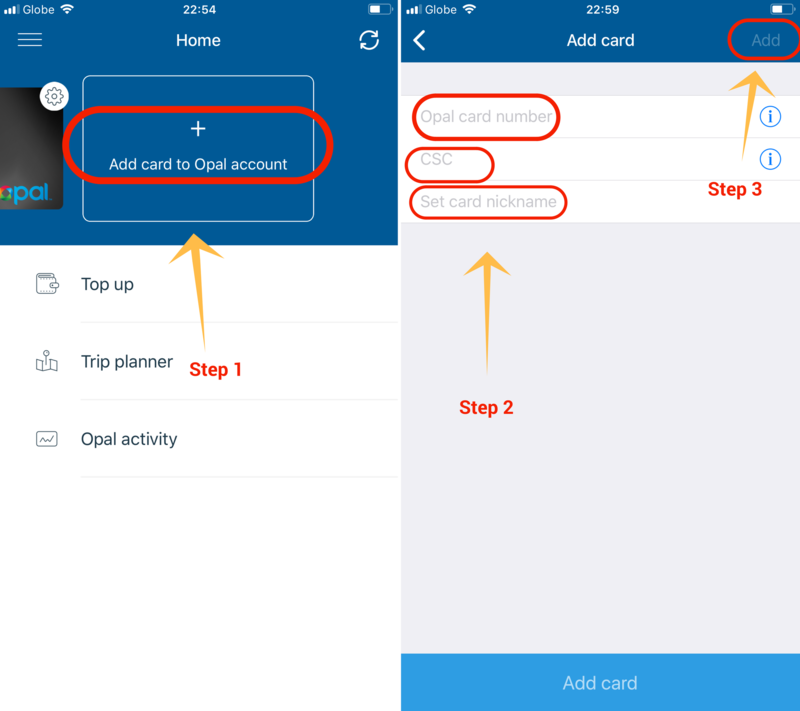 Note that you can only use the Opal app if your card is registered. Download the Opal app on your phone, it is available for both iOs and Android. Simply add your Opal card in the app, enter the Opal card number, CSC, then set card nickname. Click the Add button then you’re good to go. If you’re wondering if you need to download the app to use the Opal card, the answer is no. But I highly recommend that you do because it is quite helpful in getting around Sydney hassle-free. Not only does it give you access to the key modes of transportation in the city, it will also show you how to get from point A to point B, which I will discuss later. Click the Top up button in the app then select the amount that you want to reload. Enter your credit card/debit card information in the Add billing details. Click the Add button in the upper-right corner of the screen. Alternatively, you may also click the Add billing details button at the bottom of the screen. You will be redirected to the next page. Click the Confirm payment button. That’s it! Provided you entered the correct information, your card will be successfully reloaded. This is where it gets exciting. I know many of you are quite dependent on Google to get around; I know I am. 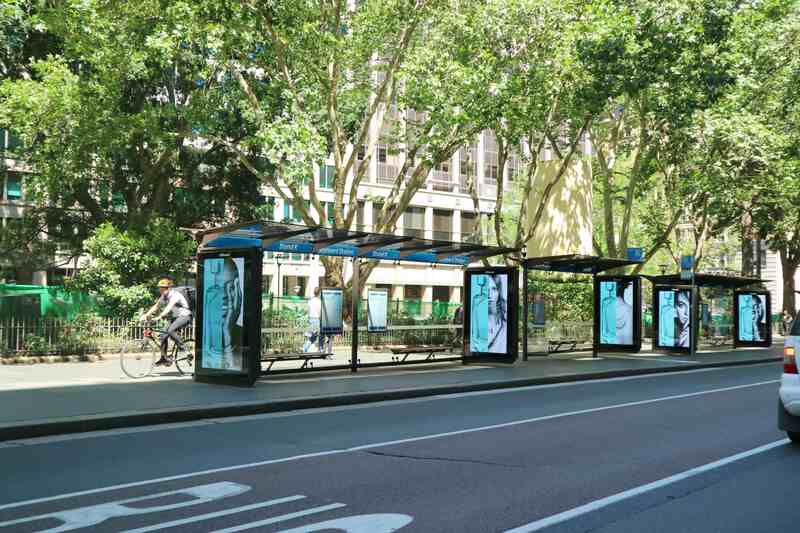 Well, you can give Google a rest in Sydney, at least when it comes to checking the schedule of their public transport or when you want to know how exactly you can get from one place to another. There is a nifty feature in the Opal app called, Trip Planner. So what does it do? First, it shows the real-time schedule of their trains, buses, and ferries. The information provided includes the routes and timetables, the stations, stops, and wharves. You will be given several choices on how to get to your destination. You will know which bus will arrive at a specific time and where exactly it will stop. Enter your current location and select your desired destination. You will be given several options on how you can reach your destination. View the details of the itinerary by selecting from the options given. 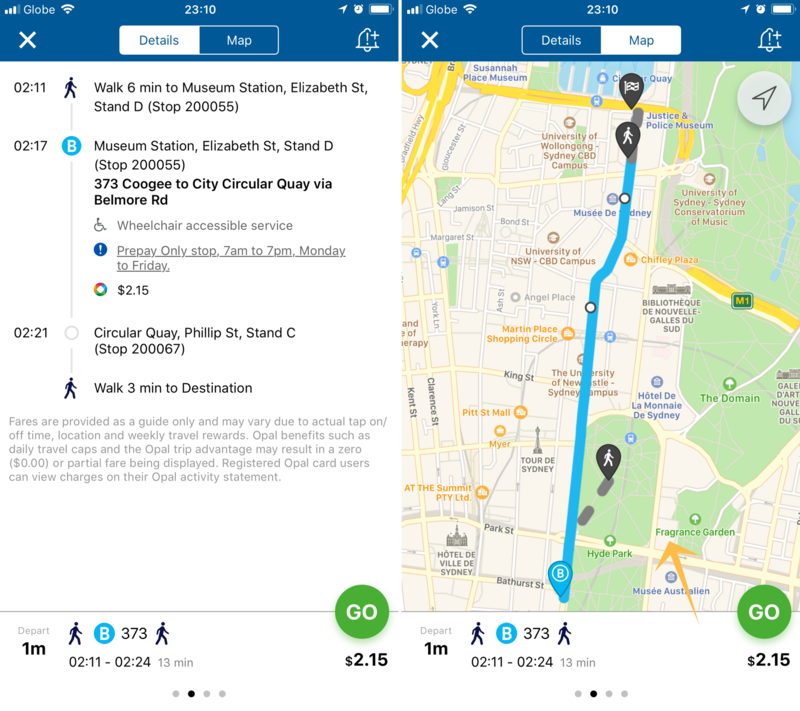 In this sample, I set the current destination to Hyde Park along Elizabeth Street and the destination to Circular Quay. In the Details section, you will see the specifics of an itinerary. As you can see in the left snippet below, it would take 6 minutes to walk from Museum Station to the bus stop, Stand D. From there I have to take Bus 373. The bus ride takes roughly 4 minutes and it would stop at Stand C on Philip St. From there, I only need to walk 3 minutes to get to Circular Quay. The bus fare for this trip is only AUD 2.15 (₱86.20). You can check the options to see which one is best for you. Once you’re set on which itinerary to take, just click that green GO button. It will then show you the built-in map (as shown in the right snippet) where you can see the real-time updates of your trip. If you’re curious, this is how their bus stops look like. You can view the history of your trips in the Opal Activity section. It’s funny that I didn’t ask anyone for direction in a country where everyone speaks English. As you can see, there has been no need for that because Opal app told me exactly where to go and how to get there. I know that there is a similar app in Singapore, but I didn’t have to use it when I was already with a friend who lives there and can show me the way. But since I’ve found the joys of using an app to get around, I might just download the smart card app of the next country I’m visiting (if it’s available) just to make navigation a little less complex for me. You can also travel Sydney by means of a taxi or Uber. I was able to try them too, but they are so expensive I deemed it best to just take the public transport. Sydney is an expensive city that the $40 you will spend on an Opal card is equivalent to just a single ride on Uber. Take a taxi or Uber, only when it’s necessary or money is not an issue. If you’re not used to taking public transport, don’t worry, this is not the Philippines; commuting in Australia won’t gray your hair (pinky swear!). 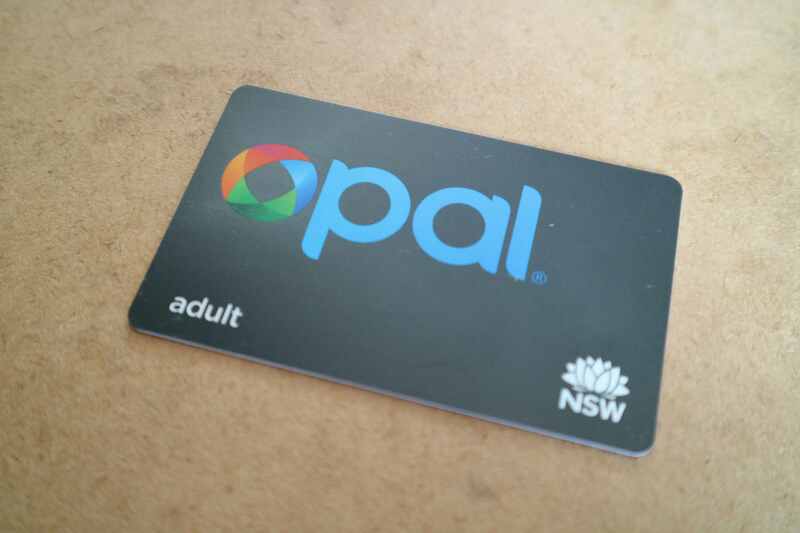 If you want to know more about Opal card, here’s the link their FAQ page. It provides other information that was not included in this article. Wow, this Opal card seems to be super useful and it is user-friendly as well. There is the Opal App too. Thanks for explaining details about how we can use the card with clear pictures. Great share! I remember this OPAL card that we used when my wife, parents, sister and I went to Sydney September to October last year. It was bliss. I still have the cards with me in case we decide to return (Oh Finances help up!). I’m fully aware about it being usable to every mode of transportation in the whole NSW but I never thought that it’s more than just that. Putting it in an app and topping up online? I never thought OPAL card could be that powerful… lol. May I add also that the more frequent you use your card, the more discount on the next trips that you had? Anyway, what a really informative post you got there. I wish we had something like this here in the Philippines. Although we had the beep card, I think it can be improved more. Cheers! 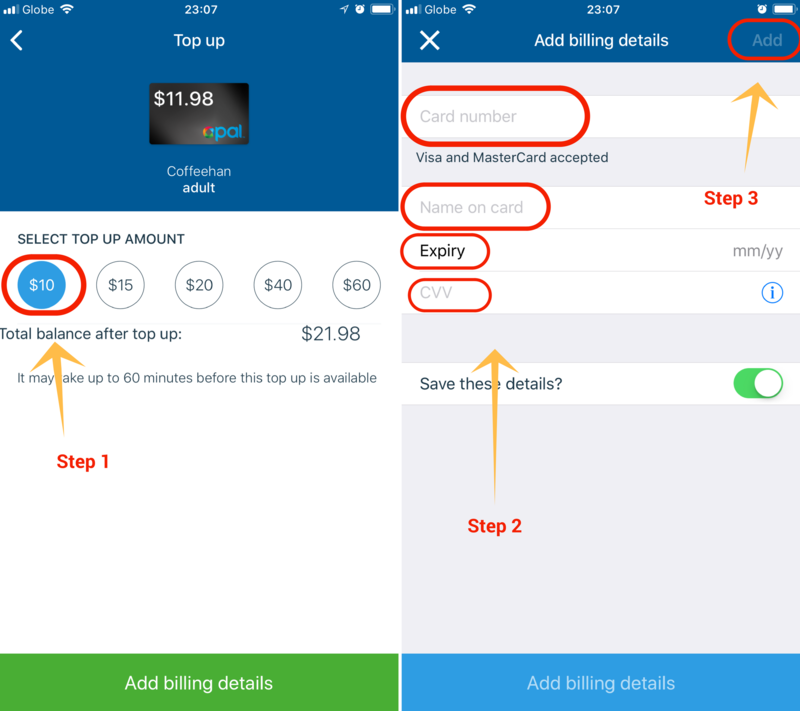 The way you have explained how to use the opal card, along with proper pictures with the sections highlighted, I am sure any one who has not used any travel cards before can very much use this one after reading your post. Whenever we go to places, we really like to explore either on foot or using public transport. 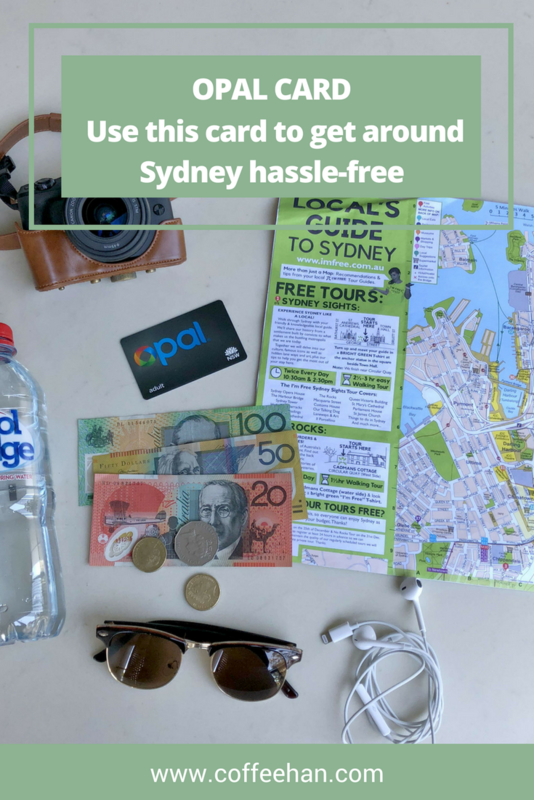 And cards like opal card are our favorite because they reduce the hassle, give so many options on route and hop on hop off that you literally get a lot of flexibility in very less money. This is truly convenient to those people who lives in a fast pacing community, such as Australia and other countries. How I wish Philippines would have this, and have a good transportation system. Anyway, I haven’t been to Australia and knowing that they have this card, I’m now motivated enough to plan my trip to Australia and experience something new to me. I also love that you have written this informatively and detailed. Thank you so much for sharing this with us. Wow… Very informative. My cousin would be travelling to Australia next month. This would ve very handy for her. I had used google maps in Italy and faced connectivity issue especial while wandering through narrow lanes of Naples. Does this app have any feature for offline navigation? Hi Sonali, I am not sure, but I will check when I return to Sydney.